YENAGOA- FOR senior citizens in Bayelsa State who have retired from government service, getting their pension and gratuity was something they anticipated to sustain themselves and their families, but the reverse has been the case, as it is often enmeshed in controversy. The plight of the pensioners in the predominantly riverine Bayelsa State dubbed a civil servant state, is nothing to write home about as retirees have complained about unpaid gratuities and seven months pension arrears. 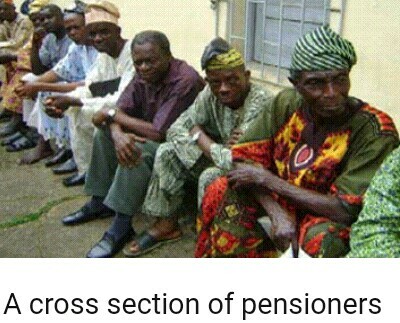 A cross section of pensioners Though the Governor Seriake Dickson-led Restoration administration, according to the senior citizens, have been consistent in the payment of their pension allowance in the last two years, they nonetheless decried the continued delay in the payment of the arrears owed them before December 2016 in the wake of the recession that hit the country and the attendant fall in allocation from the federation accounts to the state. Vanguard findings revealed that while the state pensioners are being owed seven months arrears, their counterparts at the local government level are owed three months. A pensioner who spoke on condition of anonymity told Vanguard that though they were initially owed 10 and half months, the government had managed to pay three and half months of the arrears with the result that they were currently being owed seven months. He said: “We were being owed 10 and half months before December 2016 and the governor has paid three and half months of the arrears. The governor did promise to do everything to pay us monthly and from December 2016 till date, he has not owed. The senior citizens, it was however gathered, are not happy over the non-payment of gratuities and death benefits. The state government, according to Vanguard source, had in the past six years paid about N2.8 billion before the process was halted due to alleged payroll fraud. The alleged non-payment of gratuity and death benefits are also another sources of worry to the retirees, with one of them saying “there have been several verification’s but nobody has been apprehended, charged or held responsible. The accumulated gratuities and pension benefits as at now is about N34 billion.” Bleak hope Whether this contentious issue would be speedily addressed or not is a matter of time. But given the volatility of the allocation from the federation accounts in a state that is basically a civil servant state, with little internally generated revenue, IGR, which relies mainly on what it gets from the centre, the pensioner said: “Our concern is that it is going to be difficult for both the state and local governments to clear these backlog of pensions and gratuities soon. Going by the dwindling monthly allocation from the federation accounts, the possibility of paying is a mirage for the two tiers of government.